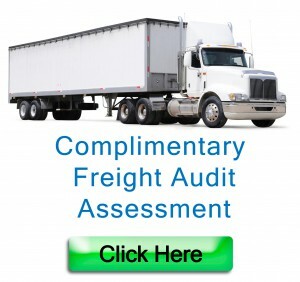 Freight Auditing, Negotiation and Payment. Compufreight Services Limited was incorporated on July 30, 1987 as a private corporation. Our staff consists of traffic specialists, auditors and analysts who will devise a suitable plan to meet all of your logistics needs. Provide our clients with complete support in traffic and freight management services. Advise on carrier selection, perform auditing functions, and answer transportation related questions. Relieve your staff of having to perform this specialized function. Freight expense as a percentage of sales will be reduced. Savings will enhance revenue without contributing to overhead. Every dollar of freight saved flows directly to your company’s bottom line. The Compufreight audit function eliminates duplicate payments and overcharges due to improper commodity descriptions, rate, cube, FSC (Fuel Surcharge) and extension errors. Carriers receive only the correct amounts to which they are entitled and Compufreight clients receive 100% of all savings. Compufreight reports provide summarized transportation data. These reports give your company (or Compufreight on your behalf) essential tools to negotiate the most economical rates with carriers. Compufreight reports identify consolidation opportunities. Date, weight and lane activity information is gathered from pro-bills and summarized. Consolidation opportunities emerge and when taken advantage of costly minimum shipment charges are reduced. 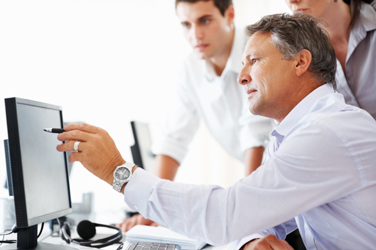 Access to Compufreight transportation consultants can save time and money. Suppose a client is considering launching a product into a new territory. Compufreight will calculate the related transportation costs to move that product. Management can make an informed decision as to whether the launching is feasible given the freight expense associated with it. Issuing one cheque or EFT (Electronic Funds Transfer) to pay all carriers each week can amount to substantial savings. Some have estimated costs of $50.00 or more to issue a single cheque when all clerical and managerial costs are tabulated. The more carriers paid the greater this savings becomes. Staff problems are reduced. Your staff is relieved of having to perform the tedious task of verifying rates and paying freight, allowing staff to concentrate on other important functions. Holidays, absenteeism and staff turnover will have little impact on the processing of freight documents. Through Compufreight you will have a continuous professional support staff specially trained in the field of freight audit, payment and consultation. Carriers will receive timely payment and all carrier inquiries will be handled by Compufreight. You will know your total transportation costs each week. At the end of each month, both your monthly and year-to-date transportation costs will be at your finger tips. The monthly fee is based on the volume of freight processed through our system on your behalf. Option 1: A percentage fee based on freight expense. Option 2: A transaction fee based on each pro-bill transaction. Either option adjusts to the cyclical activity of your business.